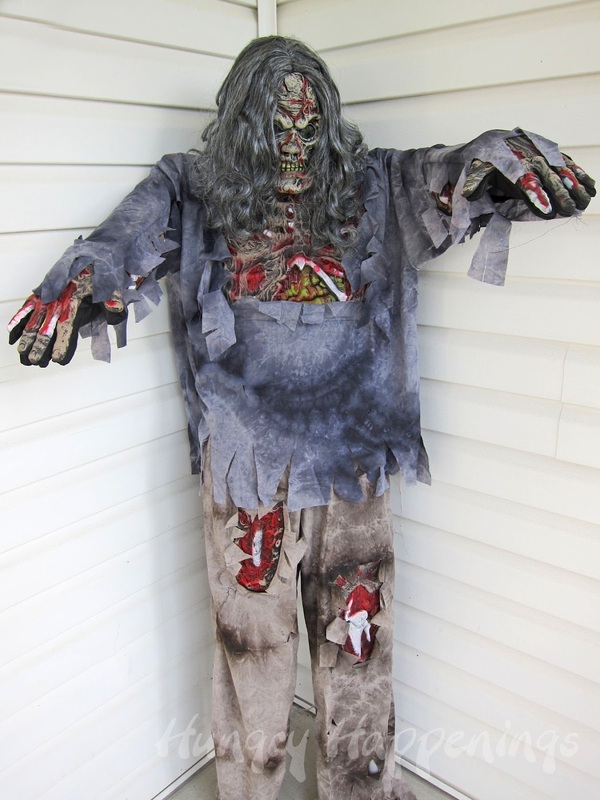 Build a Halloween prop using a costume and pvc plus a costume giveaway. September 21, 2012 By This post may contain affiliate links. Today I’m going to stray from my usual tutorial on creating themed cuisine and instead share with you how we built this zombie using pvc pipe, chicken wire, a costume, mask, and a styrofoam head. The folks at HalloweenCostumes.com graciously sent me the zombie costume so that I could create this prop for our Halloween party. The also offered to give one of my readers a costume too. Aren’t you excited to find out what you can win? Be patient for a moment while I explain how to make this zombie prop, or for those of you that just can’t wait skip to the bottom of the tutorial. Before you cut your pvc pieces, be sure the costume you are using works for this size figure. We held up the pant legs then cut our pipe to fit the pants. Then we determined how tall the torso should be and cut those pieces. Our costume had short arms, so we cut accordingly. Use the measurements below as a guide. 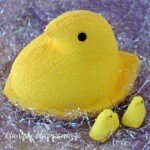 *Chicken wire is perfect to give your human frames structure, but you can also just wrap the frame with bubble wrap. 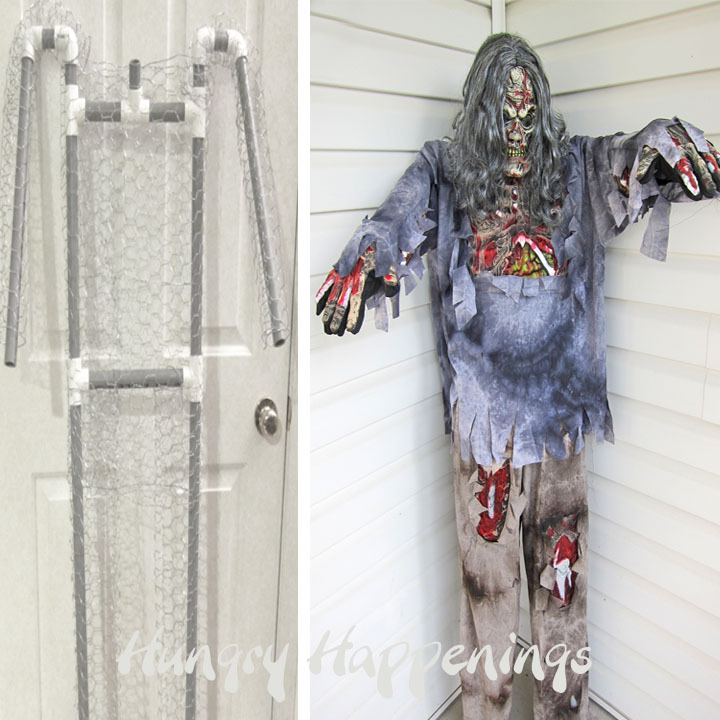 You can make the arms and legs using pool noodles or just leave it a pvc frame if you want a really skinny zombie. **If you want to use this outside, put rebar in the ground then set the pipe over top of the rebar. 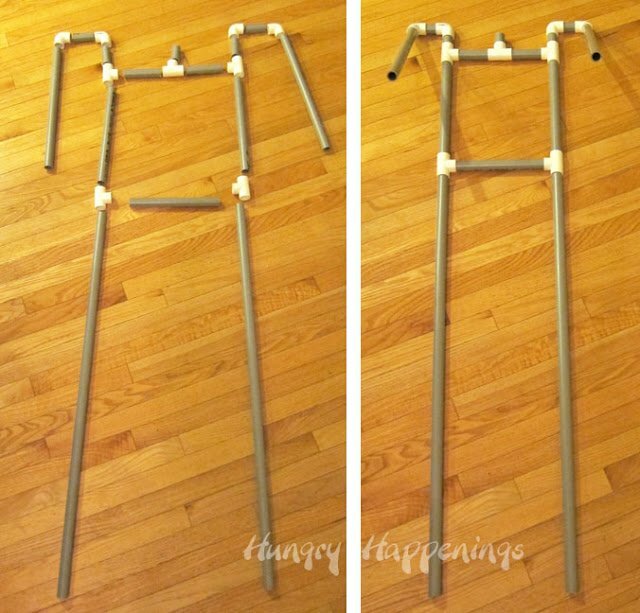 Cut and attach all of the pvc pieces together as shown in the picture above. Use the chicken wire to create structure for your pvc framed body. I just wrapped some chicken wire in a tube shape and used the cut wire to hold the tube together. I cut some wire from the top of the tube and wrapped it around the pvc pipe that is going between the two leg pieces. 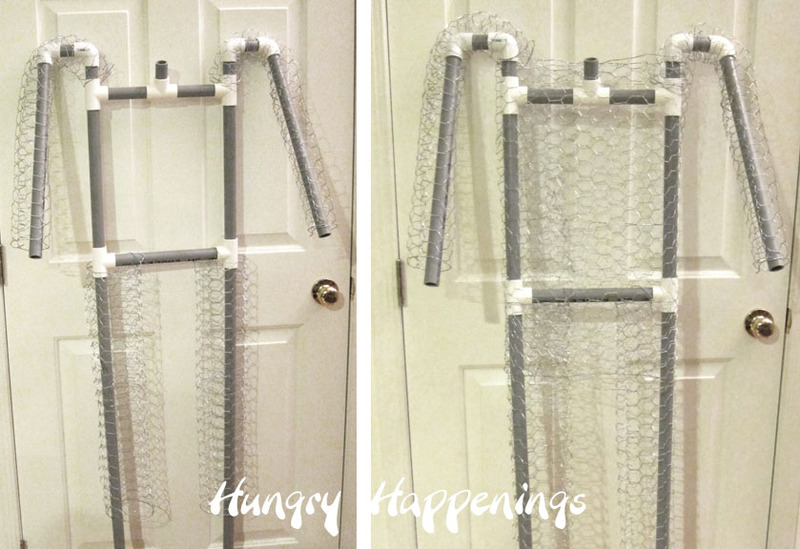 Make smaller tubes of chicken wire to create the arms and shoulders. Just feed the pvc arm into the tube and bring the tube up and around the shoulder pieces of pvc. My chicken wire tubes stayed in place after I wrapped it around the shoulder area. If your’s does not, just cut some wire and attach it to the shoulder. Make a large tube and wrap it around the torso area. I just fed the neck piece of pvc around one hole of the chicken wire and it held this in place. Cut a hole in the bottom of a styrofoam head, just big enough for a piece of pvc to go into it. My mask didn’t have eyes, so I used some black electrical tape to attach two eyes (actually erasers with eyes printed on them) to the inside of my mask. Then fit the mask onto the styrofoam head. 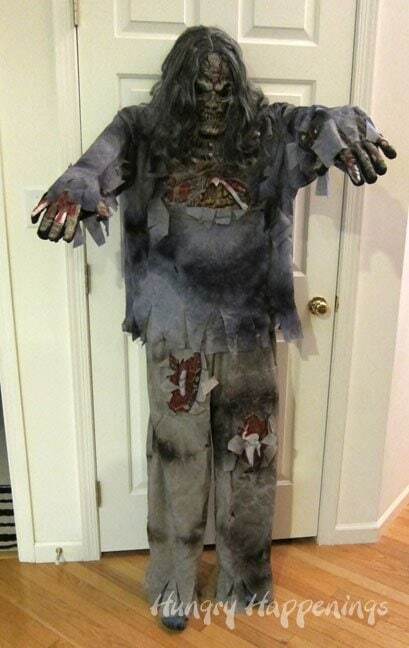 Carefully dress your zombie, add the head, and some feet or shoes. I just set some feet under the pants for now. Of course, it is nearly impossible to find a left and a right foot at a Halloween prop shop, so I just hid one foot, allowing only one toe to show through. I did it in the pictures above, but the Hungry Happenings watermark covered is up. I did have to pin the costume a bit at the top, so that it looked more natural. I also pinned the chest piece to the chicken wire underneath it, because at first it looked too boxy. Now I think it looks great, don’t you? When we finally decide where he will go, we’ll figure out what to do with the feet. He’ll probably end up in our graveyard outside. We’ll hammer two pieces of steel rebar into the ground, cut holes in a pair of old shoes and feed them over the rebar then feed the pvc leg pieces down over the rebar so that it looks like he’s wearing the shoes. I love him and am excited to display him at our Halloween party. I met the man I would eventually marry. 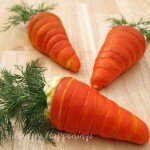 Wouldn’t you love for something wonderful to happen while dressed up as food too? 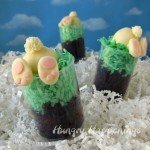 One lucky winner will get to choose a Food Themed costume valued at $40 or less from HalloweenCostumes.com huge selection. 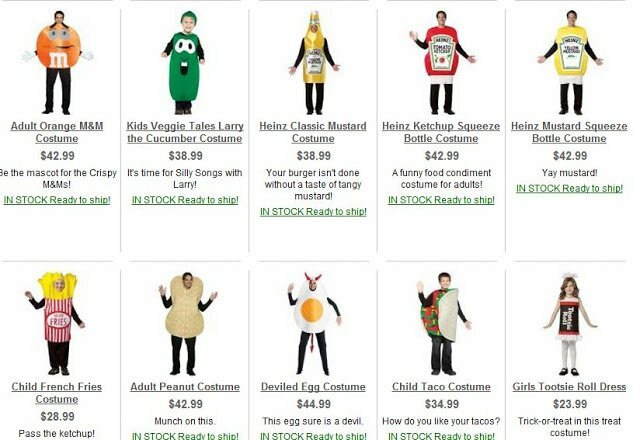 Click here to see all of the fun food themed costumes you can choose from. Leave a comment below. That’s it. It’s that simple. If you’d like, you can tell me something about a costume you wore in the past. If you follow already, that counts too! so it can take several hours for your entries to appear. If you duplicate your entry, the duplicates will be deleted. 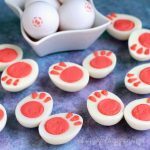 P.S.If you like HalloweenCostumes.com on Facebook they will give you a 15% off coupon. Rules: Giveaway begins 9/21/12 and runs through 9/29/12. 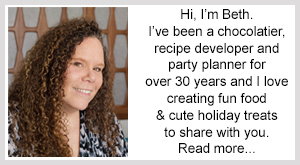 If you have trouble leaving a comment, you can send your entry to beth@ hungryhappenings.com and I will add your comment. Winner to be drawn at random from all valid entries. Entrants must reside in the United States and be over 18 years of age. (I’m so sorry to all of my world wide readers. 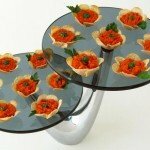 Hosting an international contest has become too difficult due to all of the laws around the world.) Void where prohibited by law. No purchase necessary. Odds of winning are based on the total number of valid entries (maximum of four entries per person.) Winner will be notified and have 72 hours to respond. If the winner doesn’t respond in that time frame another winner will be chosen. This contest is in no way sponsored by Facebook, Twitter or Pinterest, but it is sponsored by HalloweenCostumes.com. I LOVE the baby Ketchup packet costume! Hi, I just found your blog yesterday. I love it! You have so many wonderful ideas. 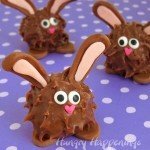 I liked Hungry Happenings on Facebook. I followed Hungry Happenings on Twitter. I'm following all of your boards on Pinterest. Hmm this would be a hard decision but I's love a chance to win! So smart! 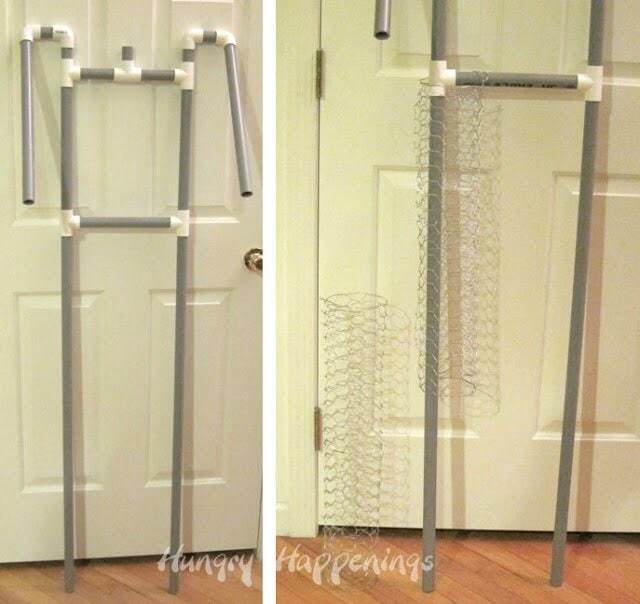 Im doing a grim reaper with an ironing board I can use pvc for the arms. Thanks! Wow are you using the ironing board to create the body? That is a very clever idea. Thanks for the giveaway! I was a hamster with my daughter last year. I used to make all my own costumes by hand and always loved the ones I made for my children including a witch, pumpkin and clown. Your zombie turned out great. The chicken wire is a great addition. Thanks for the tips. Fun! Thanks again for the snack cake party 🙂 Kids LOVED it!! We have a full size Mummy that we sit out on the front porch every year and he lights up and as soon as someone gets close enough to him he makes a loud scary noise and it never fails to make everyone scream LOL!!! !